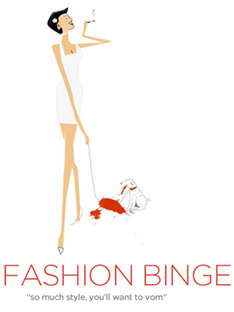 I think the name of my blog encompasses my style well. In interior design, I am naturally drawn to French details, and tend to stick to a more neutral, chic aesthetic. I am most drawn to spaces that feel collected and lived in, with a mix of antiques and more modern pieces. This was the vision I had when I began decorating my own home: I wanted to utilize the pieces I've collected from various antique stores and travels over the years and juxtapose them with my more traditional furniture. In terms of fashion, I tend to stick to classic, timeless pieces. I love to layer and wear lots of black. As a bonafide "girly girl", I also often wear dresses and heels for nighttime and maxi dresses with flats for daytime. What is the most exciting moment you've had as a blogger? I can't pick just one! I suppose getting that first comment from a reader that wasn't my mom was a pretty cool experience. Anytime a reader emails me or lets me know a certain post I shared inspired them is very rewarding as well. I was recently featured in a Houston Tidbits email as a "Top 5 Bloggers to Watch in Houston" and I helped host a Neiman Marcus beauty event, which was very special. It was such an honor and was very flattering to be picked. What do you love most about boutique shopping? I love finding pieces that are unique and special. Boutiques often have a more curated feel than department stores which makes shopping a little more fun. You know that what you find and take home won't be on every other girl in town. What are your three most prized possessions? My Burberry raincoat. It's a classic piece, and anytime I put it on I feel instantly put together and chic—certainly not feelings you normally experience during a rainy day! A vintage pink dress I found in Rome at a boutique. When I saw that dress, it was kind of like fate—I knew we were made for each other. It's more tailored than I usually like but it works really well with my figure. Every time I see it hanging in my closet it reminds me of Rome and the romanticism of the city and that summer. And finally, a pair of brown suede Prada wedges that I got at an upscale resale boutique in Houston. Blogging for me began at a time in my life when I felt dissatisfied in my 9-5 job. It became a creative outlet and source of joy that made me excited to get out of bed each day and talk and connect with others about the things that I love. 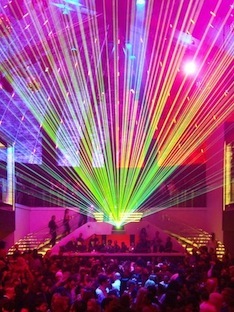 Ultimately, it led me to leave that 9-5 job and go back to school to pursue a degree in interior design. While I'm in school, I am also working during the day assisting two designers and learning the business. I don't think I'd be doing this if it weren't for blogging and discovering that other girls had made similar transitions. That's probably my favorite thing about blogging. It connects you with like-minded, passionate individuals all over the world. What are your favorite boutiques in Texas? I love Cakewalk Style Shop, Tootsies, Langford Market, and More than You Can Imagine. 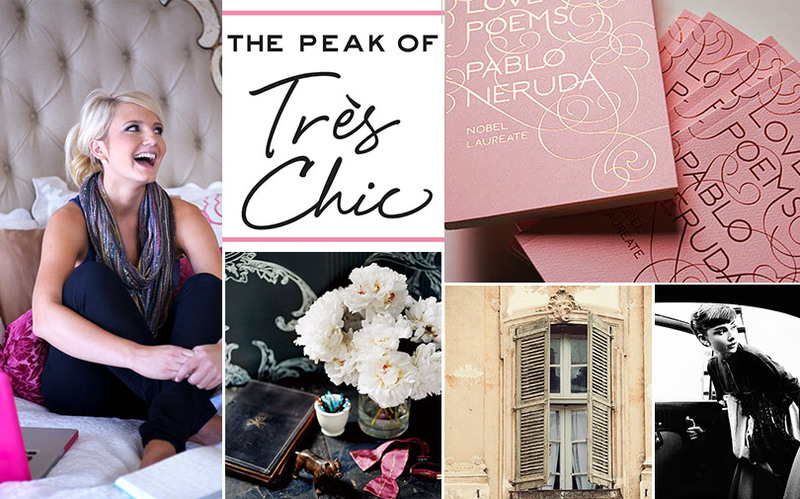 Check out Sam's blog, The Peak of Tres Chic here! "I love this maxi! I'd pair it with wedges, a bold gold cuff and wear it out for an afternoon of shopping and brunching with friends." 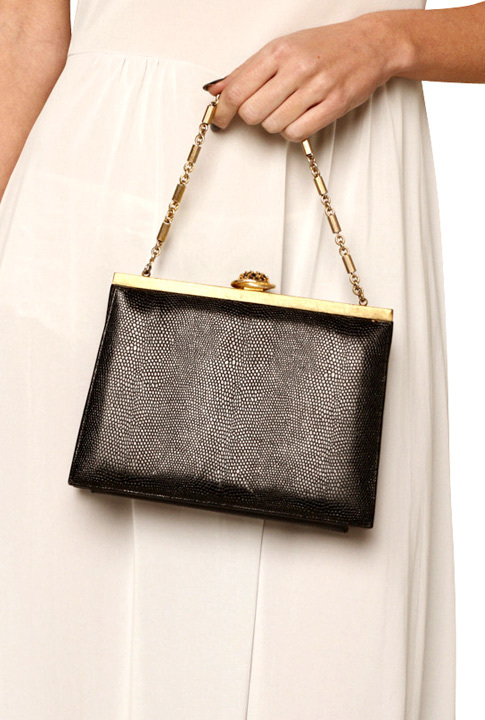 "The structured shape of this bag and gold detail are so my style. I'd pair it with an evening dress for a dinner party or throw my lipgloss and keys in it for a night out with the girls." 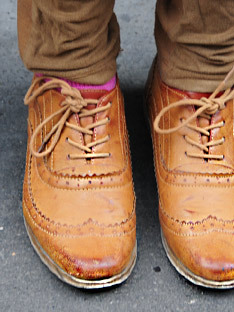 "I'm completely loving these stitched boots. They are perfect for college football season. 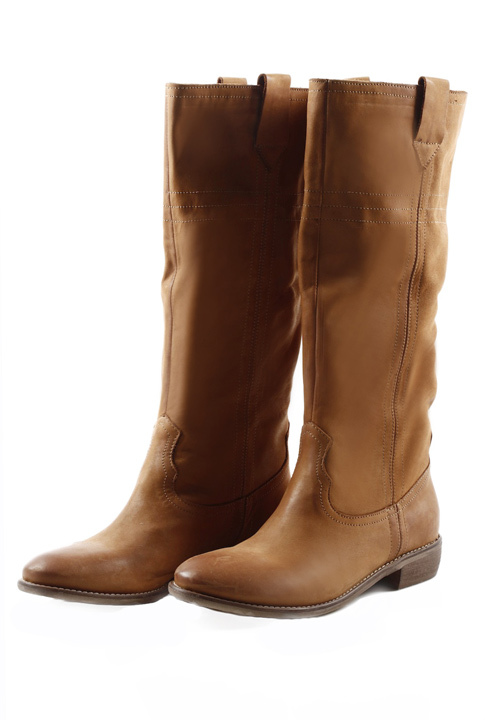 I'd wear them with black skinny jeans and a tunic blouse to cheer on my Oklahoma Sooners!" "This ruffle vest would fit nicely with my everyday attire. 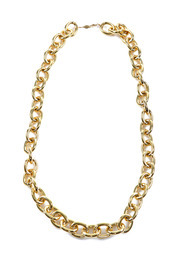 I'd wear it with black skinny jeans, flats and a bold gold necklace for work." 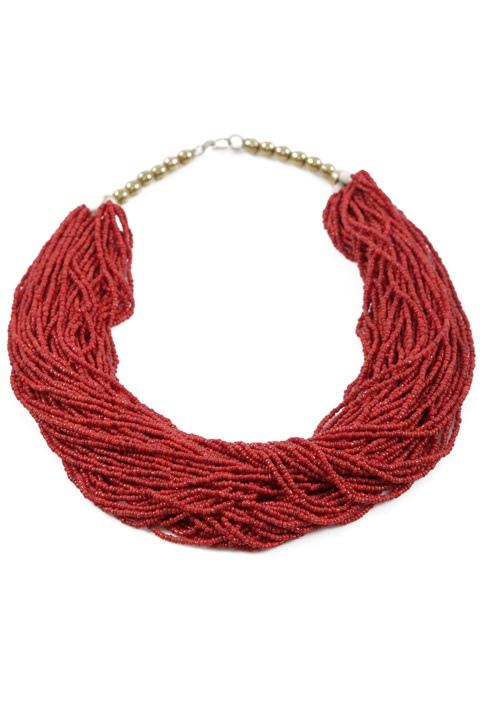 "This beaded red necklace is gorgeous! I'd love to wear it with a simple white sundress for an end-of-summer soiree."